How to Add Audio to Presentation in Microsoft PowerPoint 2013? This article will explain how to add audio to presentation in Microsoft PowerPoint 2013 in few simple steps. Do you want to add a background music or song to make your PowerPoint presentation more interesting? 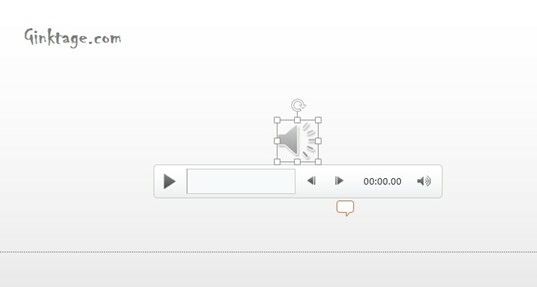 You can do it by adding the audio to your PowerPoint slides. Assuming, you have a mp3 file and below are the steps on how to add it to your presentation. 3. Click the “INSERT” tab and then click “Audio” DropDownList and select “Audio on My PC” from the list. 4. This will display the “Insert Audio” Dialog where you can select the audio file. Select the file and click “Insert”. This will paste the audio bar to your presentation. This audio bar includes Play, Pause button and with few other settings. 6. Save the presentation file and you are done with inserting the audio file to your presentation.